Perhaps the most iconic golf tournament of the entire calendar is The Masters and a real sign that the golf season is in full swing. 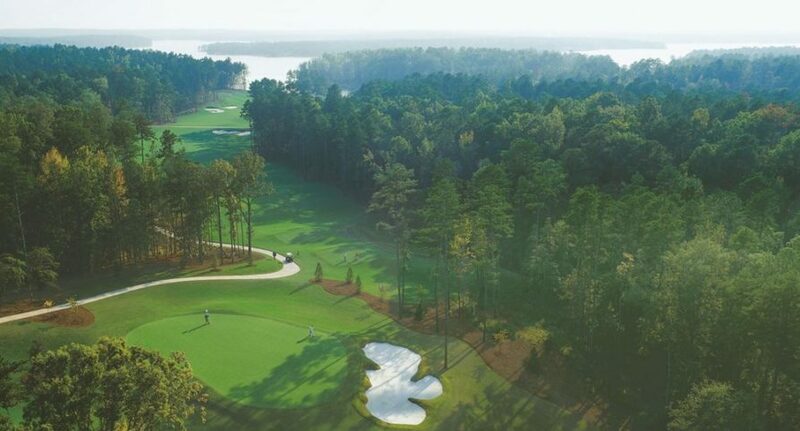 The Masters at Augusta National is the one major event that all players want to win, and when you combine that desire with how tough the course can be to play, that is what comes together to bring us such a fantastic event. Whether you are a golf fan who tunes in each week to see the action from the PGA & European Tour’s, or a casual fan who likes the big events, you will all have the same love for this tournament. This is something special, and as we get into the weekend, through moving day on Saturday and then to the final day on Sunday, we are sure to see more special Masters moments this year. Here you will find a rundown of the big names who are likely to be involved this week, along with details of the TV coverage, the latest betting odds and some betting offers that you can take advantage of. Fans will be able to catch all four days of the Masters live on TV. Sky Sports have exclusive rights to cover every day of the tournament, with live coverage beginning at 8:00 pm on the first three days, and 7:00 pm on the final day. BBC Two will also offer coverage on terrestrial television, although on the first two days they are only showing highlights, with live coverage over the weekend. Their coverage begins at 7:30 pm on Saturday, and 6:00 pm on Sunday. On top of this Sky will carry additional coverage behind the red button, which includes following selected coverage. The times for this are still to be confirmed but expect to be able to catch live action from around 5:00 pm onwards no each of the four days through the red button service on Sky Sports. Will Rory McIlroy ever have a better chance than this to win The Masters? It appears not. He has long since been described as the next Masters winner, and never gone through with his effort. A win here would complete a career grand slam for McIlroy before his 30th birthday, which is some achievement. Perhaps the best thing going for him right now is the golf he is playing. He is in his prime right now, and playing like it, looking the complete package from tee to green. His current form and the course, which plays into his strengths, all make him a very worthy favourite this week. Alongside McIlroy, Fowler is probably the other player who many people would love to see win The Masters this week and the player who deserves it the most. He went close last year and couldn’t have done any more, only beaten by someone playing magical golf on the right weekend of the year. Fowler has shown good form this year and gained even more confidence over the past few years when it comes to big shots on the green. As we move through the four days at Augusta, big moments will happen on the green and in those moments, Fowler has the putting ability and calmness to thrive and make ground on others. He hasn’t won a major, which is always a tricky position to be in and no doubt that will add more pressure to the shoulders of Fowler this week. However, he is simply too good to go through his career without winning one, and this week looks to be a great chance for him to finally pick up a win. Iron play sets up opportunities at Augusta and if you want one of the very best iron hitters then look no further than Justin Thomas. He showed unbelievable qualities to get into contention last year but couldn’t follow through with his effort. He played one fantastic round out of four and wasn’t a million miles away from the leaders. Imagine if he can string two or three great rounds together. If you set up this tournament so that every single player played their very best golf for all four days, Thomas would be alongside McIlroy in that. The question with him is whether he can put it all together for the four days of this tournament or whether he will fail on a day or two. No doubt about it though, Thomas has the ability to win this. The Spaniard is a top player, and alongside being able to hit a ball well, he also has the mental frame of mind to win a major. He has a slight air of confidence about his game, and he relishes the big occasions. We have seen him play well here before, and back in the Ryder Cup of last season, he was a joy to watch, loving the crowd interaction and thriving on it. He is the kind of player you want on your side in the big events and one who I could easily see doing well this week. There are a few Europeans who will fancy their chances of going close at Augusta, and Rahm is right up there with the best of them, he has a solid chance. Rory McIlroy is the favourite to finally lift his first Masters title, priced up at 7/1. He is ahead of Dustin Johnson who is the clear second favourite at 10/1, and then we have a group of players who are all priced up between 14/1 and 20/1. That group includes Tiger Woods, Jon Rahm, Justin Thomas, Rickie Fowler and Justin Rose. While you can never discount an outsider coming good to win this tournament, the course makeup being difficult and the fact that this is such an important event on the calendar means it is likely that the winner will come from the group already mentioned. Outside of those, players to note would be Jordan Spieth at 22/1, Tommy Fleetwood at 30/1 and Louis Oosthuizen who is a previous winner and 40/1 to win again this season. Getting off to a good start at The Masters is important, and with this offer from Betway, it could be even better for you. If you back a player with them, and your player is leading the field at the end of either the first, second or third round then they will pay you out as a winner on your bet, even if your player goes on to lose the lead and doesn’t win the tournament. If you are looking for an offer that gives you the chance to get paid out early then this is certainly the offer for you this week. If you are looking for a consolation offer this week at The Masters then take a look at what Boylesports have on offer here. They are offering you money back as a free bet up to a maximum of £20 if the player you back finish 2nd, 3rd or 4th in the tournament, leaving you with a near miss. Coming so close can be a big disappointment, but to help you get over that, take advantage of this great offer from Boylesports when you are placing your bets this week. With such a big field and some big prices on offer, it is no surprise to see each way betting very popular with golf fans. Those who are looking to place an each way bet on The Masters this week should use one of three bookmakers, Betfair, Paddy Power or Coral. These three all have the same each way terms and they are the very best out there. Many players are paying out on the first six or seven players as a special offer this week, but these three are going even bigger than that. They are offering each way betting on the first ten places this week, at 1/5 the odds. When you bet each way, getting the best terms on your bet is vital. With these three bookmakers, you could land yourself a winning bet that would otherwise be classed as a loser with another bookmaker who is paying inferior each way terms. When placing your each way wagers, be sure to head over to Betfair, Paddy Power or Coral.